A photographer has several tools in their arsenal, such as their camera, lenses and lights. The most powerful of such tools, is a photographer’s ability to draw a viewer into their world and vision, by telling stories that are compelling enough to capture imaginations and take minds down an unfamiliar path. This ability to draw people in, is what separates the good from the truly great and it is this quality that Canon and the African Artists’ Foundation endeavor to cultivate in their photography community. The workshop with Gary Knight, enabled various photographers to engage directly and gain invaluable insight into the mechanisms of crafting compelling stories through their images. The workshop’s participants were given access to Canon photography equipment, with which they produced a series of photographs for their portfolios. Participants in attendance included: Jimi Agboola, Omoregie Osakpolor, Temilade Adelaja, Kamnelechukwu Obasi, Kitan Carew, Elliot Ovadje, Christopher Onah, Olalekan Okeowo. 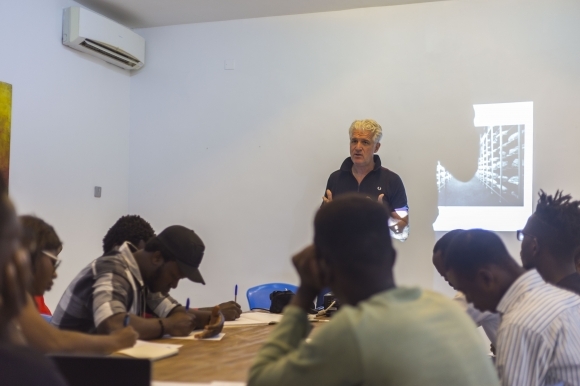 LagosPhoto Festival in partnership with Canon Central and North Africa, hosted a photography workshop in Lagos, Nigeria with the world renowned photographer and Canon master Gary Knight, on the 7th to 13th June 2017. The workshop was part of Canon’s commitment to fostering talent and nurturing emerging photographers.